Coalition Director Art Harman developed the following steps which during the Soyuz launch crisis could avoid the need to evacuate part or all of the crew from the International Space Station; a $100 billion investment and indeed the most valuable thing in all humanity. These have been discussed with NASA officials and with key Congressional staff; and the ISS office is now assessing these recommendations. Download a printable 2-page PDF of these solutions. 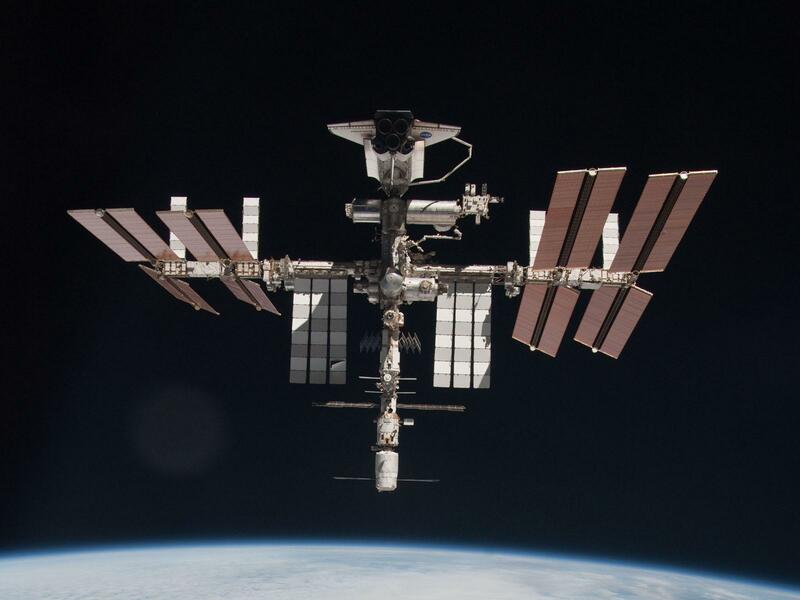 The threat to ISS: Without crew, there is a risk which increases with time that in the event ISS is unmanned, a critical equipment failure could endanger the survival of ISS. Last year's cooling pump failure should serve warning that vital equipment can fail at any time. UPDATE: Russia's loss of the Soyuz 2 in December 2011 demonstrates the continuing risks from a single source for manned launches; and together with the loss of other rockets in 2011 and Phobos-Grunt, that Russia has still not fully understood or solved critical issues in their space program. Therefore, NASA and the Administration should strongly suggest the Russians implement the following solutions to comply with contractual obligations to provide safe and reliable launch and landing services, and as an ISS partner to avoid the risk from leaving ISS unmanned. 1. Extend the date to return the final three crew members from November 22 to before the December 24th 'expiration date' of Soyuz TMA-02M by landing it at night. According to NASA, Roscosmos will allow night landings in various circumstances. This would only need be considered should the November 14 launch of the crewed Soyuz be delayed beyond the November 22 return date for TMA-02M. It would buy a few weeks time should there be any questions about launch reliability or even for reasons such as weather or crew illness. 2. Establish a Primary Alternate Landing Area for Soyuz in the US or elsewhere for use during winter months when Kazakhstan's weather makes landings more dangerous, or for the periods when a landing would occur during the night. There are weeks of time where orbital paths over Kazakhstan allow only for night time landings, which makes for more difficult search and recovery operations. The combination of the desire to avoid both winter weather as well as night time landings makes reliance upon a single landing zone less reliable for the safety of ISS crew, and indeed could be negligent given this solution. The shuttles had Edwards AFB and White Sands as alternates, and could land on many airport runways around the world in a true emergency; and ocean-landers like Apollo could likewise land in any ocean or sea if needed. It is not just a similar crisis or a doomsday evacuation where this matters. A medical emergency could require returning an astronaut on little notice. While an emergency landing could take place at many locations, day or night if absolutely needed, having a prepared alternate zone halfway around the world which is available for routine use in winter months or when Kazakhstan is dark would eliminate this glaring safety flaw. Search and recovery helicopters, aircraft and vehicles could be designated for such use at a nearby Air Force base, and specific equipment can also be stored for use. Plans would be established for emergency responders to take immediate action. Government land in Nevada or other unpopulated areas in the US, Canada and other countries may fit the needs of such a site. NORAD and FAA aircraft radar systems can do a superior job tracking the descent, and landing in the US also affords greater security and emergency response, as well as rapid access to excellent hospitals. 2a. Designate Emergency Alternate Landing Sites: To achieve near-24/7/365 landing capability, such as for a medical emergency where time is critical, there should be several emergency alternate sites around the world, which would not have pre-positioned supplies and equipment, but would be safe, unpopulated areas to land; are easily reached from air force bases or airports and emergency responders; and are located within some specified distance of a quality hospital. 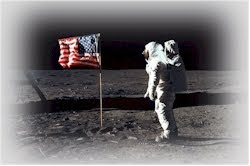 Criteria for selection of emergency alternates would include the ability to get necessary rescue personnel and equipment to the site within the time from when the site was selected for use and/or when the spacecraft undocks. Read this discussion of Salyut-era emergency landing sites and what if a Soyuz landed in America. Another document shows discussion but no decisions regarding selecting sites in North America: spaceref.com/iss/soyuz/SCLSaG.edit.pdf. In short, these reveal that while every spacecraft commander is prepared for emergency landings at any time, there is no evidence that specific sites were ever designated for routine use in dark/weather blackout periods, nor is there any evidence they ever designated a number of ideal emergency landing sites. All US launch providers should also be required to have designated alternate landing areas following these criteria; whether land or water-landers. 3. Unmanned Soyuz Launch & Reentry Capability: The automatic docking and undocking systems on the new digital-control Soyuz capsules have not been tested in flight, as had been the old systemo not have the formerto allow unmanned launches and landings as did the previous generations. In the event of a similar future launch crisis, ISS could remain at full crew compliment for many additional months by sending unmanned Soyuz capsules to ISS to replace on-orbit capsules when they approach their 200-day ‘expiration date.’ An unmanned launch would not risk human lives, allowing a launch when there may not be full confidence in launching a crewed Soyuz. Therefore, Roscosmos should test and be prepared to use the unmanned launch system in the event of such an emergency. There is precedent for launching and returning unmanned Soyuz capsules. This involved Soyuz 32, 33, 34, and the Salyut 6 space station in an incident in 1979 when an engine failure forced Soyuz 33 to be aborted. 33 had been planned to deliver a fresh capsule for the station crew to later return to earth in. The engine failure on 33 meant that the existing Soyuz 32 already at Salyut was of questionable reliability as it had the same engine as 33. Therefore Soyuz 34 which had a redesigned engine was launched unmanned for Salyut crew to use, and Soyuz 32 was returned unmanned. The concept of sending an unmanned rescue capsule worked. The plan for the failed 33 had been from the start to provide a fresh capsule for Salyut crew has likewise been tried and proven. Beyond this crisis, Roscosmos must restore the unmanned launch capacity to avoid evacuating crew in similar circumstances. A one week no-crew situation could get stretched to a month or many months as happened with Discovery’s final launch, so returning crew based upon the expectation of a crew launch within days or weeks could backfire. Additional Action: Stagger the two sets of crews by close to 90 days to allow the maximum time to correct problems in any future crisis before returning crew. This can't help now, but might be important in a future emergency. Conclusion: Use of one or more of these solutions might prevent or delay the full evacuation if ISS in various launch crisis scenarios. The most important point is that similar crises could happen again before US crew launches begin. These solutions should become permanent, standard procedures to offer greater levels of safety to the crew and ISS. 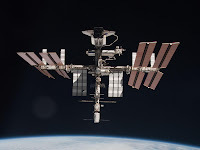 In evaluating the necessity of adopting the above solutions, it is important to understand many of the critical threats to the survival of ISS as described in the 'International Space Station Independent Safety Task Force (IISTF).' Operated unmanned, such threats are greatly magnified. This website is the source of record for this document. Earlier versions of this may exist on the internet and have been widely distributed. Check www.SaveMannedSpace.com for the latest version. You are invited to bring these solutions to the attention of current and former NASA personnel, space experts, astronauts, the media, members of Congress, and everyone concerned by this threat to the survival of ISS and indeed our entire future manned space program.